THE LINUX STUFF: How Does Puppet Work ? How Does Puppet Work ? This machine contains all the configuration for different hosts. Puppet master will run as a daemon on this master server. This is the daemon that will run on all the servers, which are to be managed using puppet. at a specific time interval. Puppet agent is a daemon that runs on all the client servers. 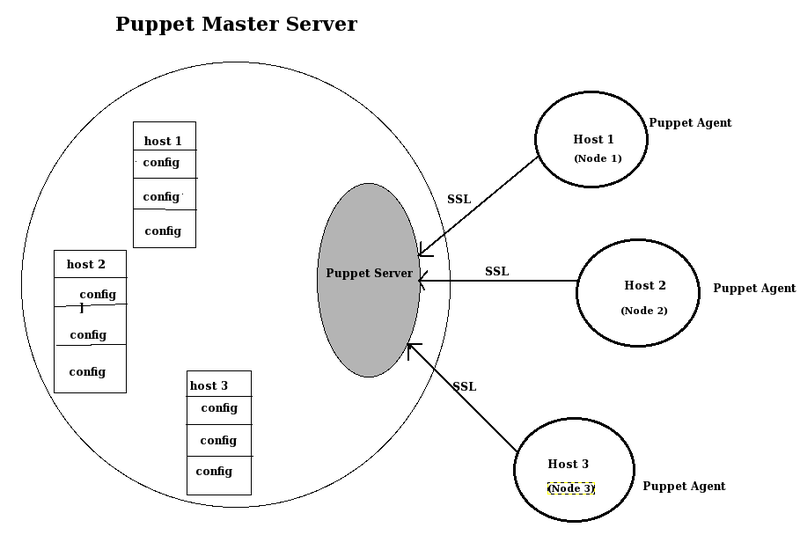 The connection between puppet agent and master is made in a secure encrypted channel with the help of SSL. configuration to be applied to the node, and how to apply that configs on the node. to the puppet agent of the node. and then reply back, and submit the report of the configuration applied to the puppet master server.